Commentary on "Daw Suu ramping up pressure on UNFC"
UNFC would sign when the NLD-Military regime accepted all-inclusivity of ethnic armed organizations; bilateral ceasefire declaration between the Tatmadaw and the ethnic armies; the negotiation process that adhere to tripartite dialogue composition, which for decades has been endorsed by the UN; and the commitment of agreeing to a genuine federal form of government. Using military pressure to push the non-signatories of the Nationwide Ceasefire Agreement is back firing as the recent so-called Northern Alliance, involving the Kachin, Palaung, Kokang and the Arakan armed forces, started an offensive to take the heat out for the KIA, which has been enduring the military onslaught of the Tatmadaw for a few months in a row. According to the ethnic sources, the ethnic offensives didn't come about lightly, but only after weighing the pros and cons. 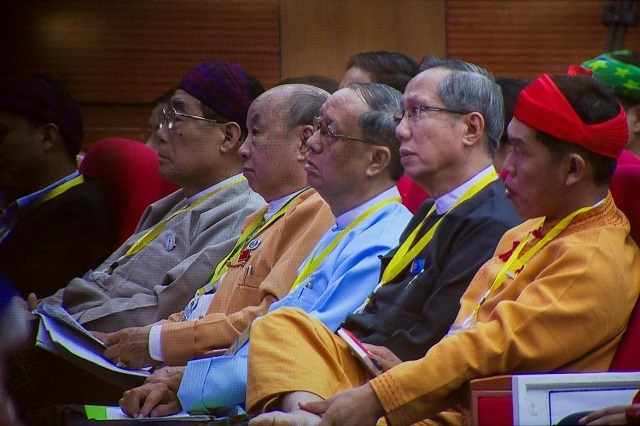 The speculation that the NLD-Military regime is going according to its prescribed roadmap, without considering the UNFC proposal might be the real factor to heighten the military conflict, rather than be a sitting duck, while hoping to achieve a favorable negotiation stance with the blessing of Aung San Suu Kyi. In other words, Suu Kyi is now considered to be fully with the Tatmadaw, at the expense of all the non-signatories ethnic resistance armies.